Drive roll pins the easy way with this Round Bench Block. Designed to be used on the bench, simply position the item with the roll pin over one of the holes and punch the roll pin through. 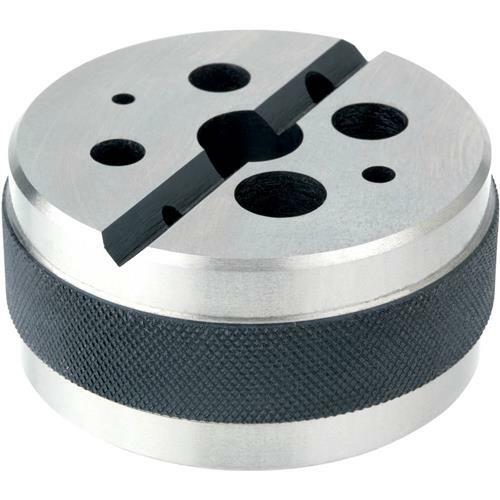 Hole sizes range from 1/8" to 5/8". A large V-groove also supports round shafts and space underneath keeps pins from flying lose. Nicely made with knurled grip. Measures 3" diameter x 1-1/2" tall.